The name for this prominent bay is derived from the Sioux word Waziyata; meaning at the pines, the north. Wayzata Bay is the most northeast bay on Lake Minnetonka and is the backdrop for the city of Wayzata. Public docks allow boaters access to many of Wayzata’s shopping and restaurants including Sunsets, Gianni’s Steakhouse, and Blue Point. 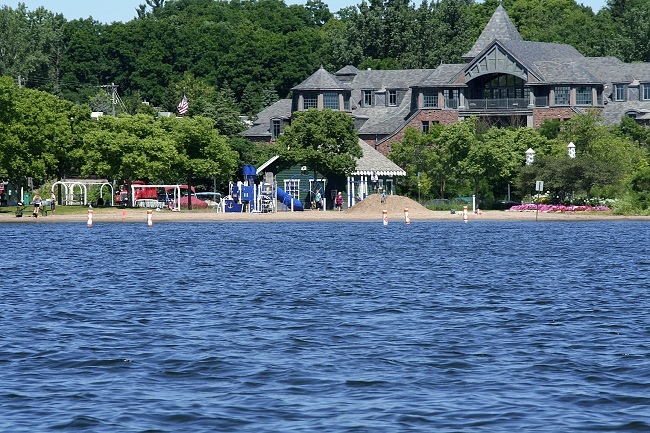 Highlights of Wayzata Bay include the Wayzata Bay Yacht Club and Shaver Park. Notable shoreline real estate is Cedar Point, Breezy Point and Wicks Point. Public Boat Access is available on this bay.